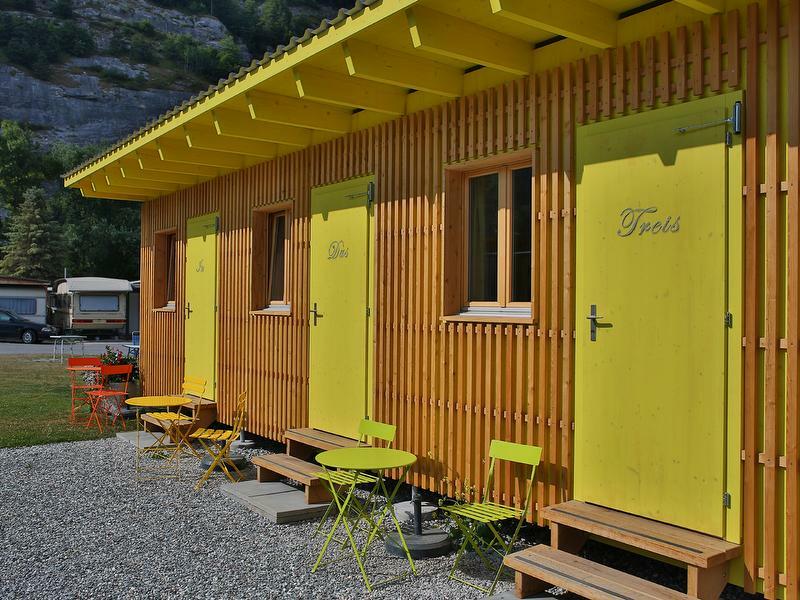 The chalet rooms are located in the new wooden chalet built in 2013. 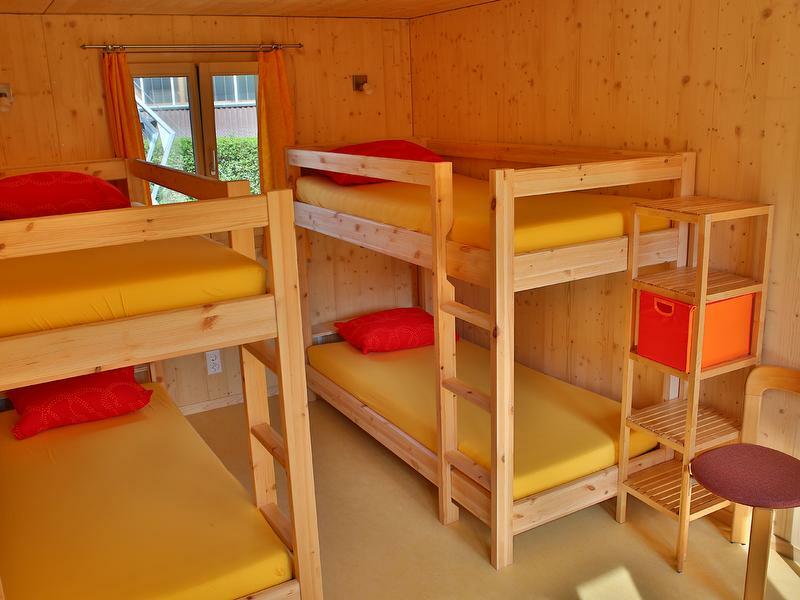 They are simply, functionally and comfortably furnished and each have two bunk beds and can be equipped with an additional bed if required. Each room has an outside seat with table and chairs. 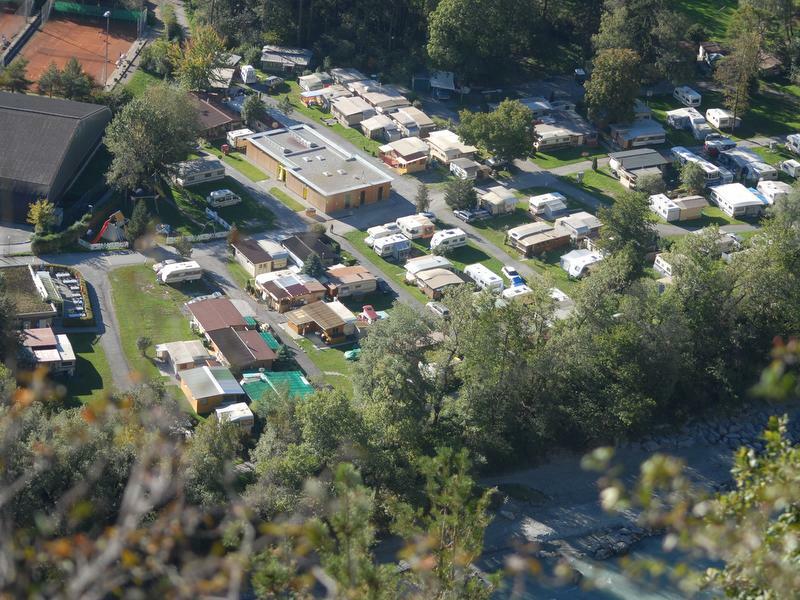 The modern sanitary facilities are directly opposite and are very easily accessible. 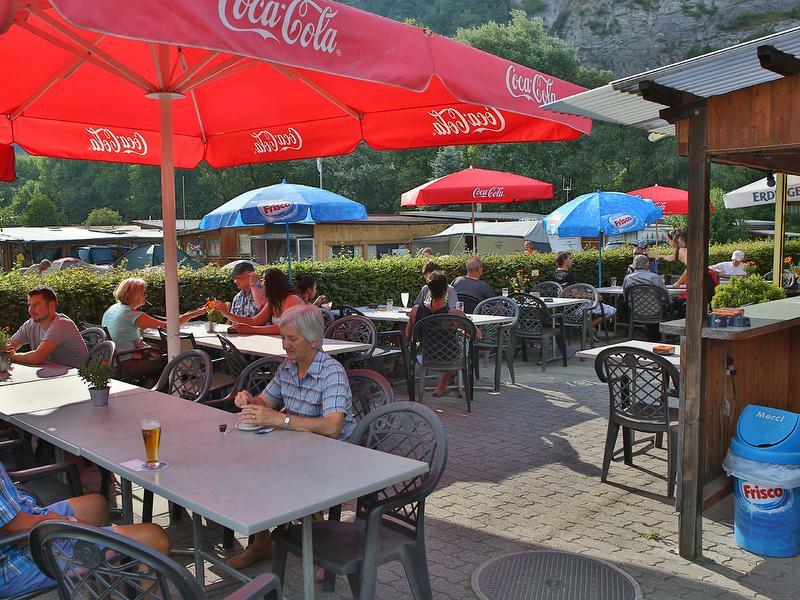 The playground, campsite shop and restaurant are also nearby (breakfast and half board can be booked additionally). 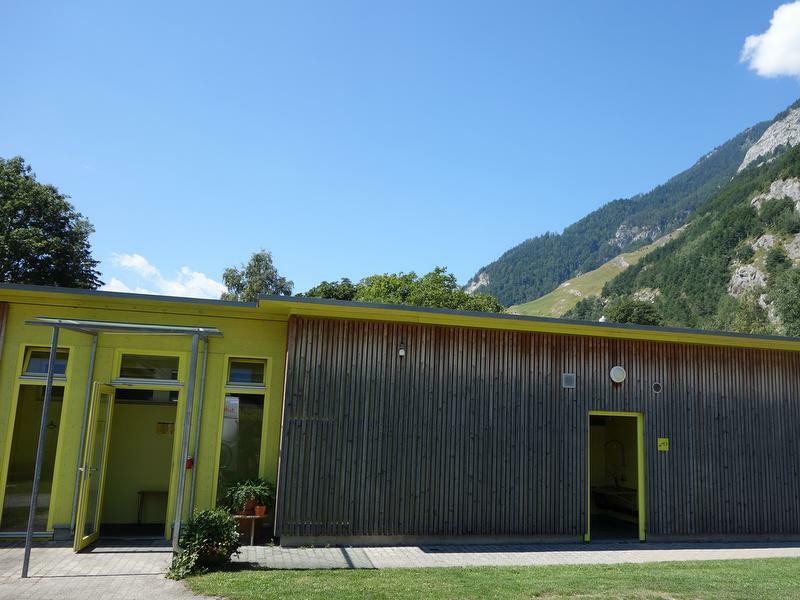 The chalet rooms are located in the new wooden chalet built in 2013. 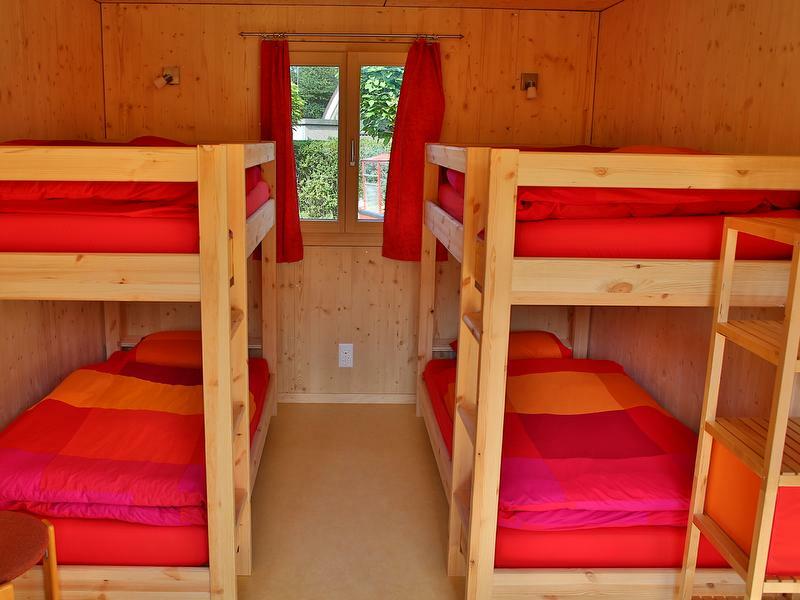 They are simply, functionally and comfortably furnished and each have two bunk beds. Each room has an outside seat with table and chairs. 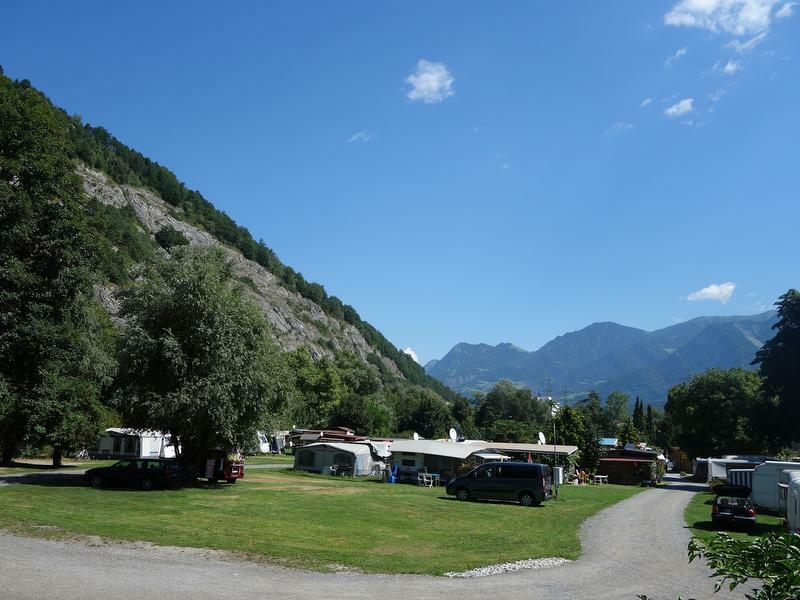 The modern sanitary facilities are directly opposite and are very easily accessible. 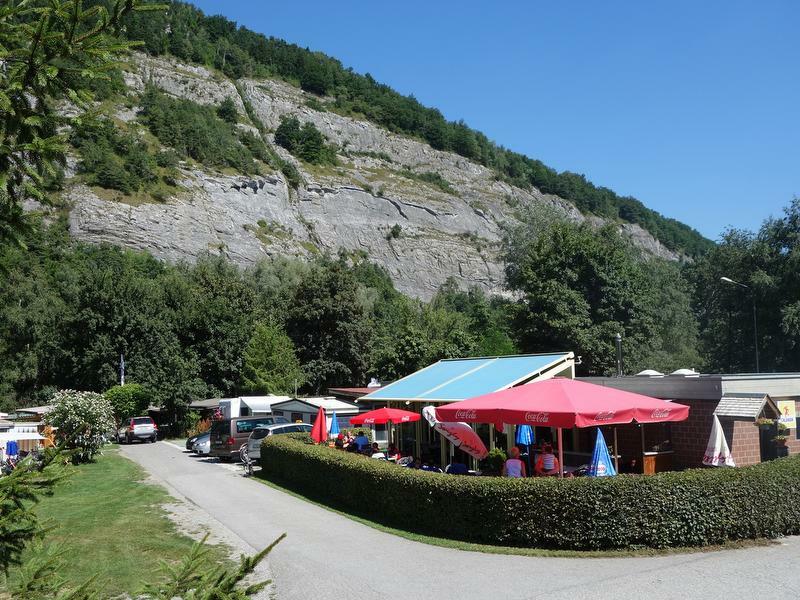 The playground, campsite shop and restaurant are also nearby (breakfast and half board can be booked additionally). 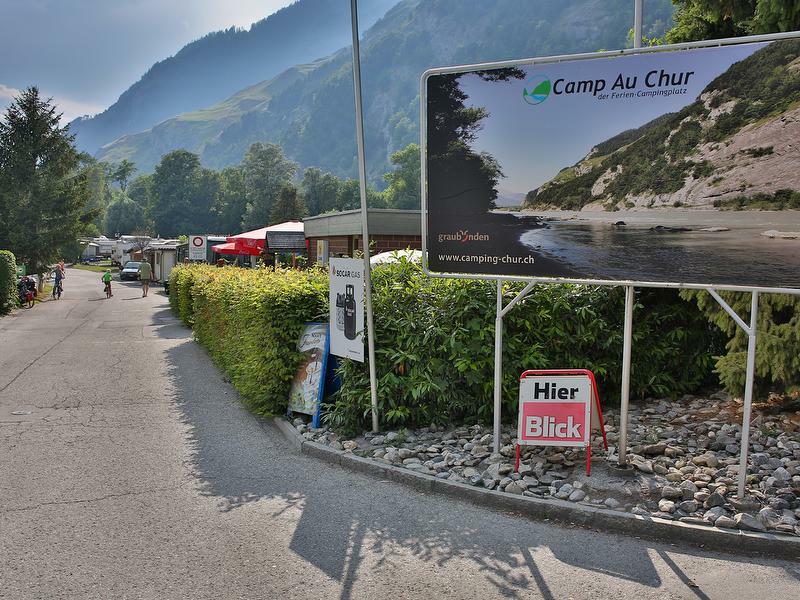 Take the train to Chur station, from there take the city bus No. 2 to the station "Obere Au". From there 5 minutes on foot to the camping.